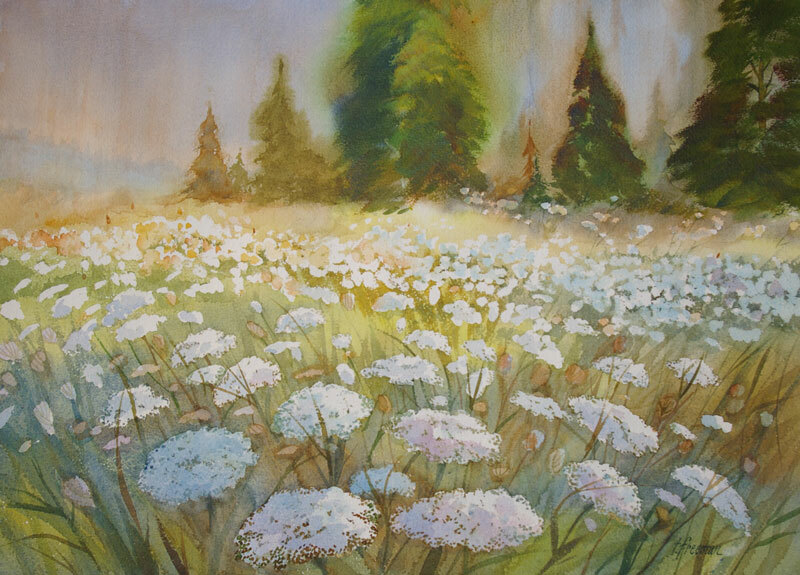 Thomas Freeman Original Watercolor Painting: "Field of Queen Anne’s Lace"
This beautiful native flower grows rampant in Michigan – and waist high. A whole field makes a scene you can’t resist painting. I had to paint all the flowers with liquid masking fluid before allowing color behind them. Then I painted the flowers.